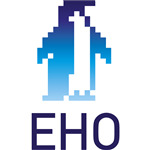 The company EHO was founded in 1980 as a family business and is today a leading manufacturer of industrial refrigeration systems in Southeast Europe. We develop and build high quality, energy efficient and environmentally friendly refrigeration, storage and ripening systems that ensure the long-term preservation and freshness of your products. We meet your needs regarding the manner of assembly, completion date and specifics of the installations, regardless of their size (small commercial refrigeration chambers or bigger industrial cold storage capacities). "SnabHolod" LTD represents at your service all of its experience, offering wide variety of refrigeration equipment, high-quality production and service, services of repairing of household and industrial conditioners. Our company counts on the new developments, high quality of production and high qualification of workers, and invests in the mastering the modern equipment and newest technologies. The use of special production technologies (e.g. bending the pipes instead of the use of fittings) allows excluding leakages. We offer both best ecological and best economic solutions. Our company provides quick and reliable supply of complete systems and units of European quality, high-quality control units, evaporators, capacitors and other important components. We are connected with all the suppliers by long-term collaboration. Individual approach to each client, quality, competence, service. В состав компании входят несколько подведомственных предприятий, деятельность которых направлена на производство и дистрибуцию напитков в категории A, B, C, опт, OSDO, Horeca, логистические услуги любым доступным видом транспорта по всему миру, включая габаритные и не габаритные грузы, c постоянным отслеживанием геолокации с помощью систем GPS и ЭРА-ГЛОНАСС, а так же предлагаем комплекс услуг по строительству и ремонту автомобильных дорог, отдельное место занимает производство и доставка бутилированной питьевой воды в формате 19л. Дистрибьюторско-логистическая компания «Логистик экспресс» основана в Августе 2008 года. На сегодняшний день «Логистик экспресс» — одна из ведущих дистрибьюторских компаний на территории г. Алматы. Основная специализация — дистрибуция продовольственных товаров повседневного спроса, международная логистика грузов.